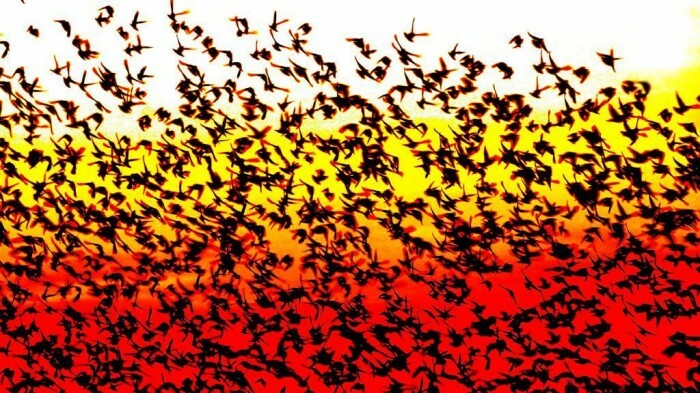 The Sun Turns Suddenly into Black, Do You Believe It? 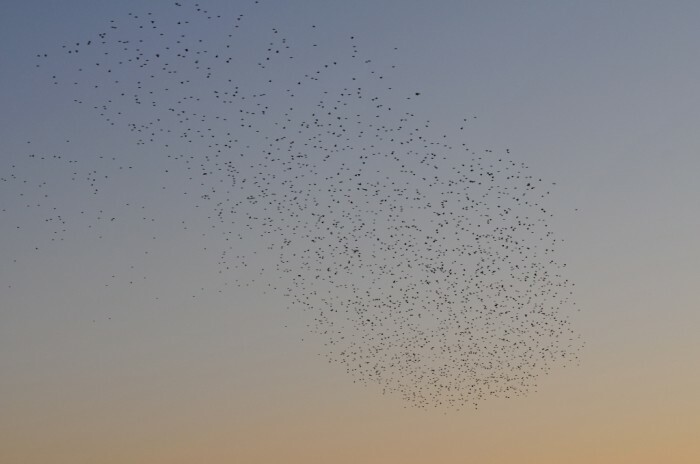 Home/Others/The Sun Turns Suddenly into Black, Do You Believe It? 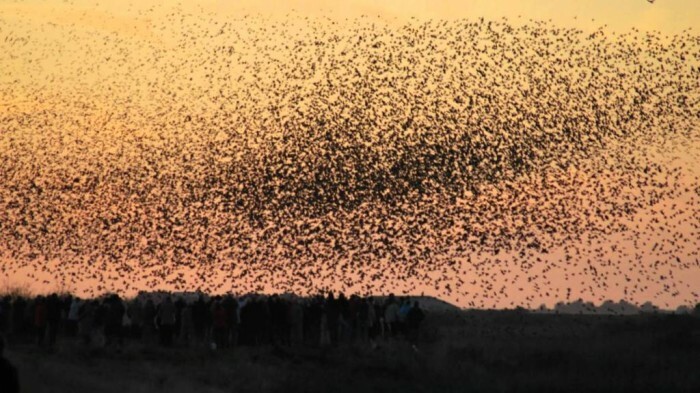 Have You Ever Seen the Sun in Black? 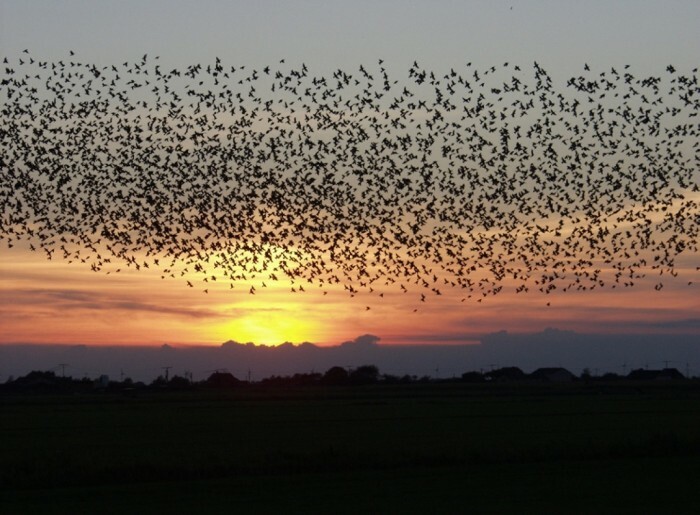 It is impossible to believe or see the sun which is the main source of natural light is turned into the black color because if this happened, there would not be any light on earth and it would be completely dark as if we are in the evening. 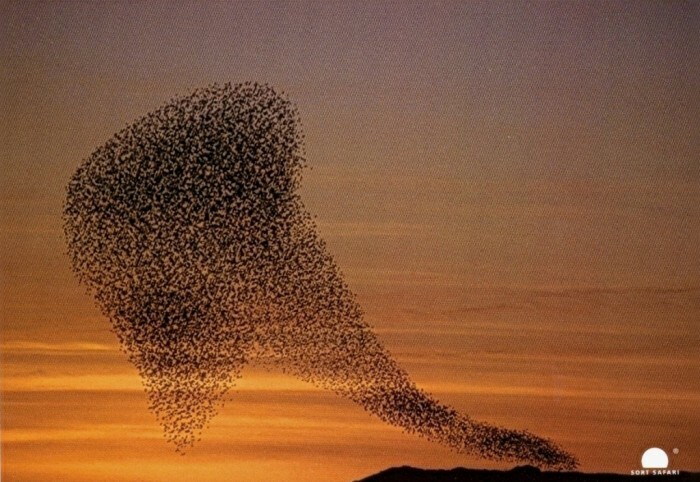 This phenomenon really happens as the sun is covered to be turned into black, but it does not last for a long time. 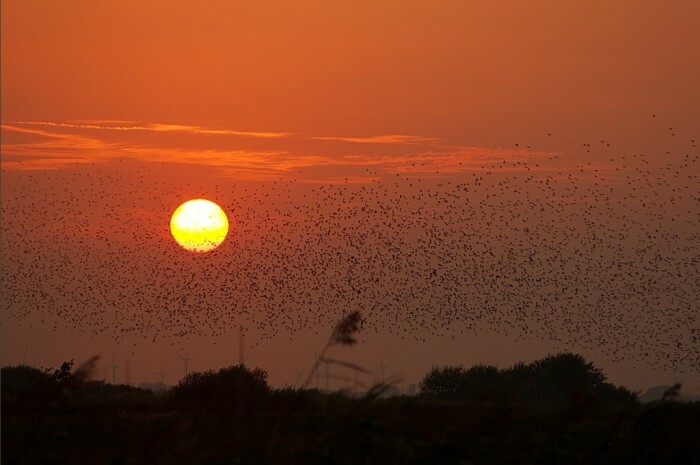 The only place where you can see the sun while it is turned into the black color is in the marshlands in southwestern Jtland, Denmark and you can enjoy seeing this natural and unique phenomenon in spring and autumn in the hours that come immediately after the sunset. 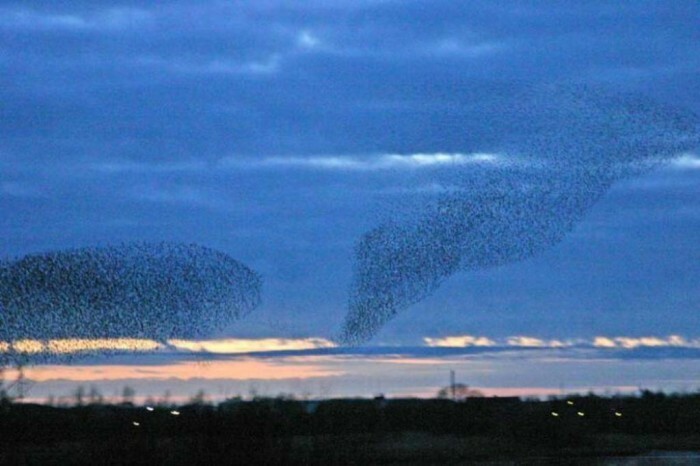 But the most important question is how does this happen and why does it specifically occur in Denmark and not in other places around the world? 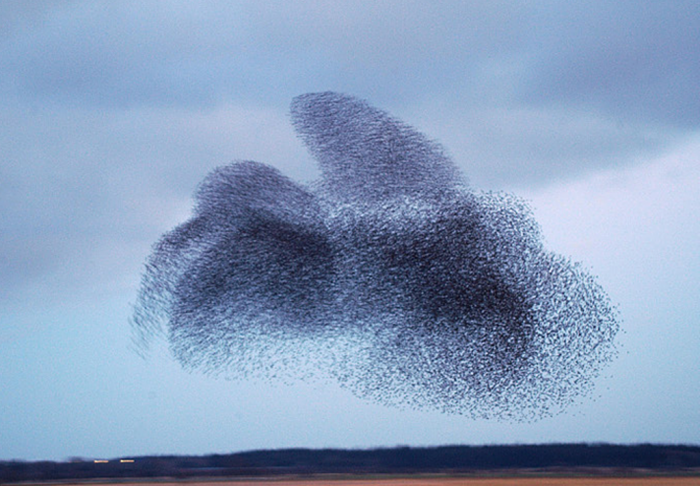 This weird and natural phenomenon is called “sort sol” which is a Danish expression that means black sun. 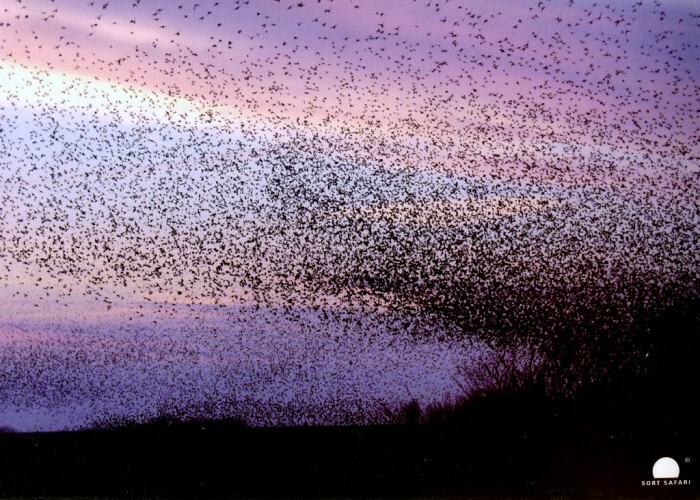 It is caused by flocks of European starlings which are known as sturnus vulgaris. 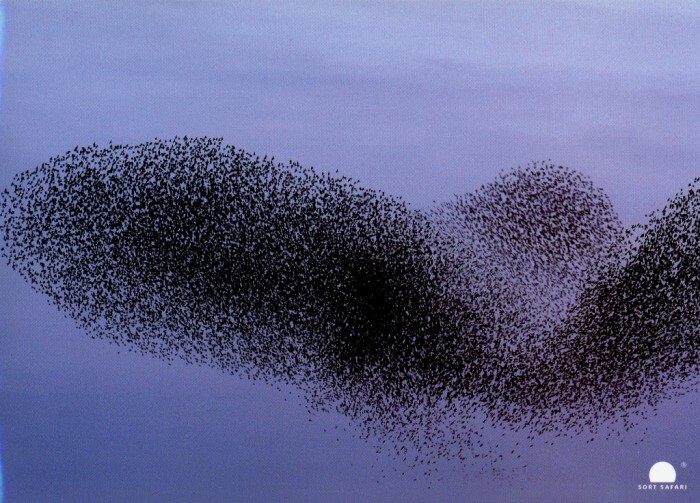 They are estimated to be more than one million starlings when they appear and it is really a huge number that can really hide a large part of the sky while flying. 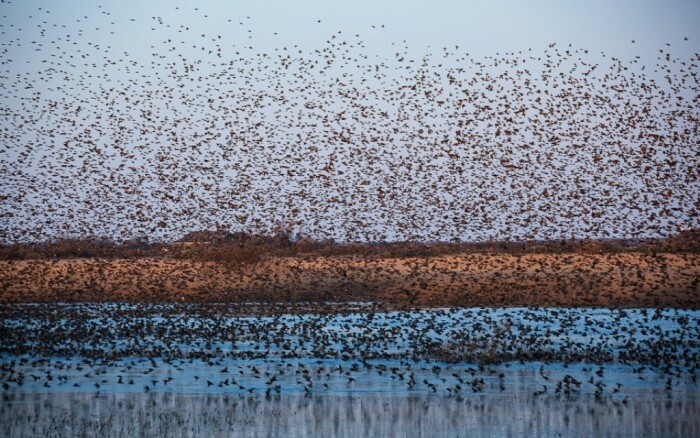 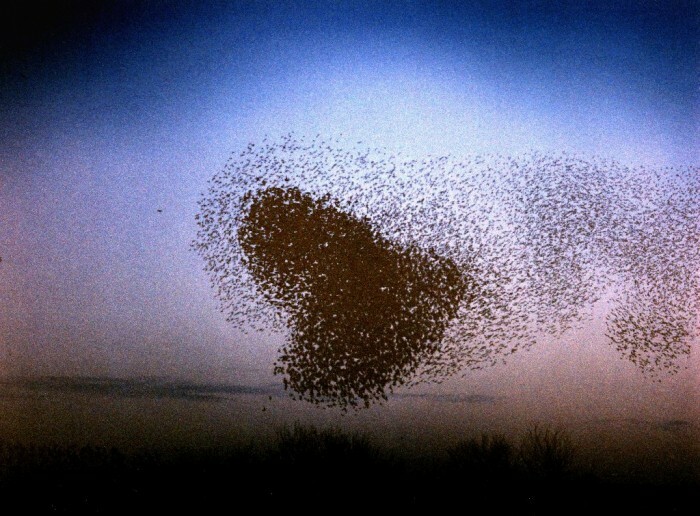 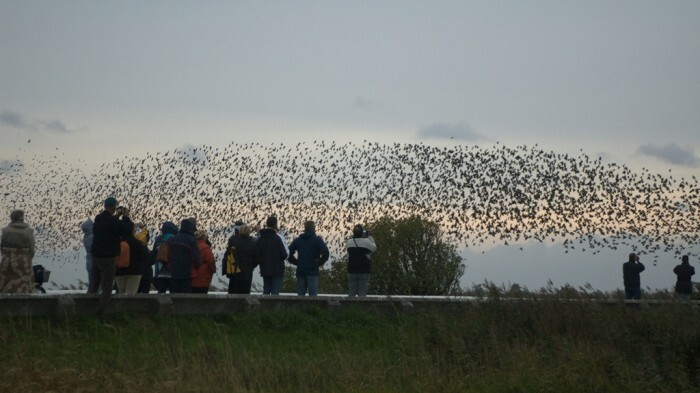 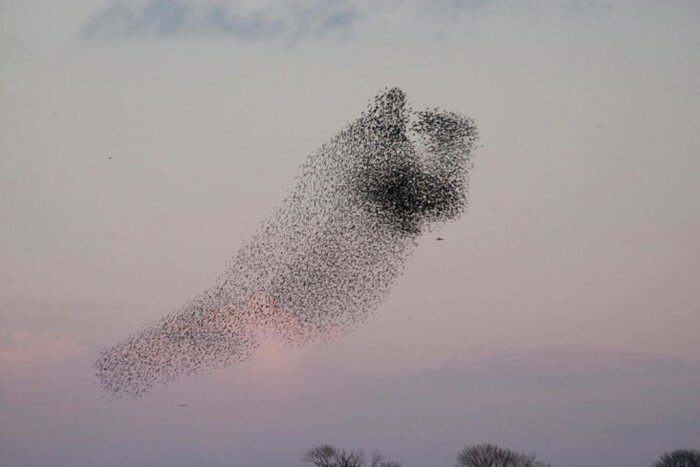 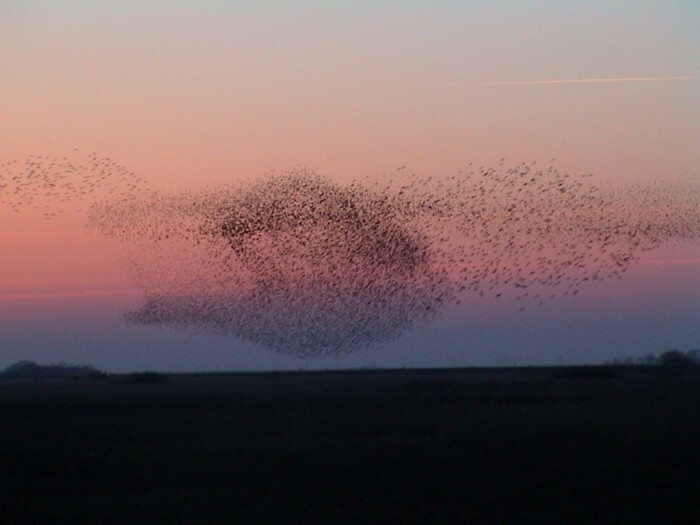 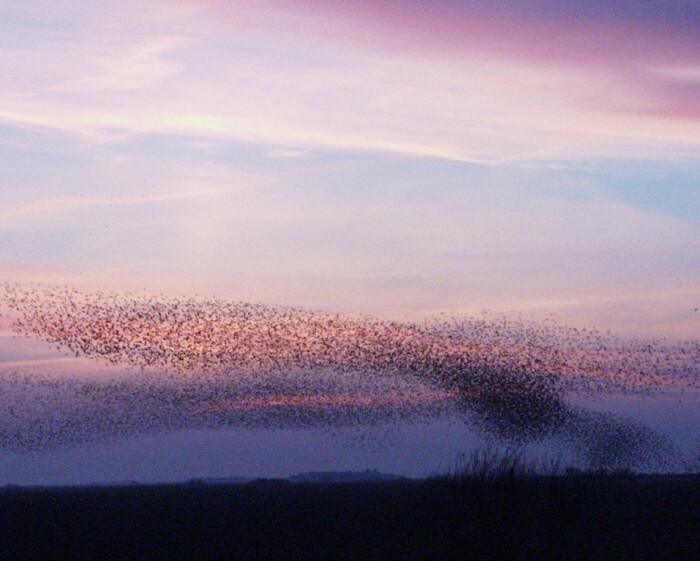 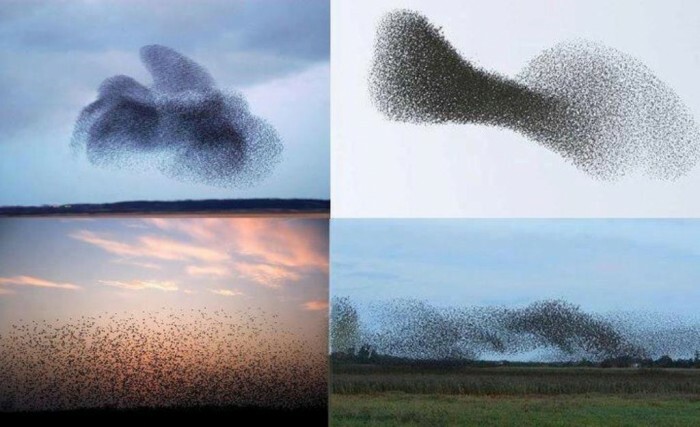 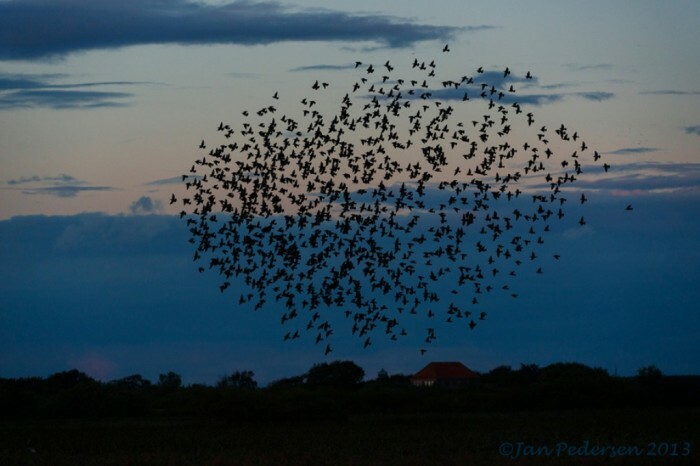 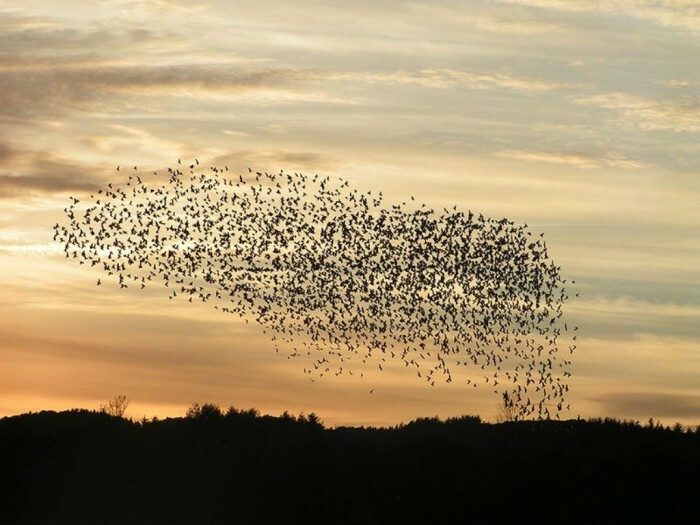 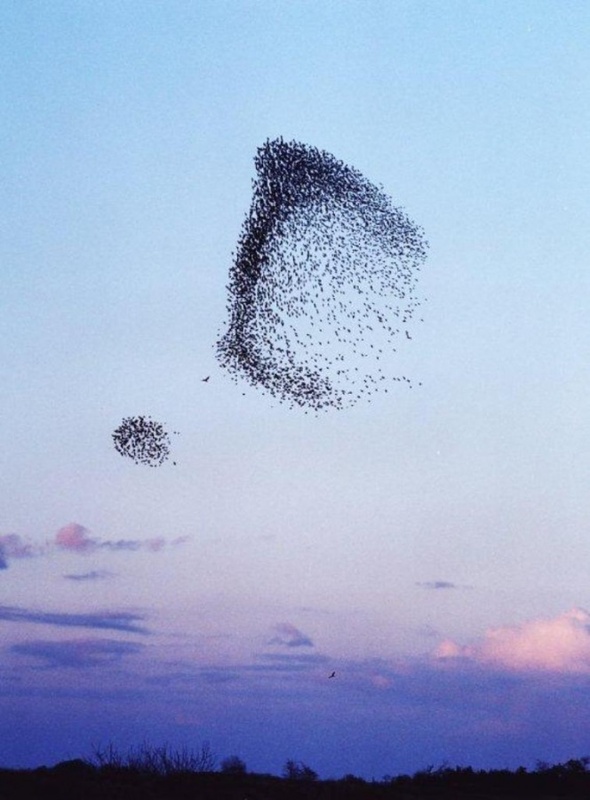 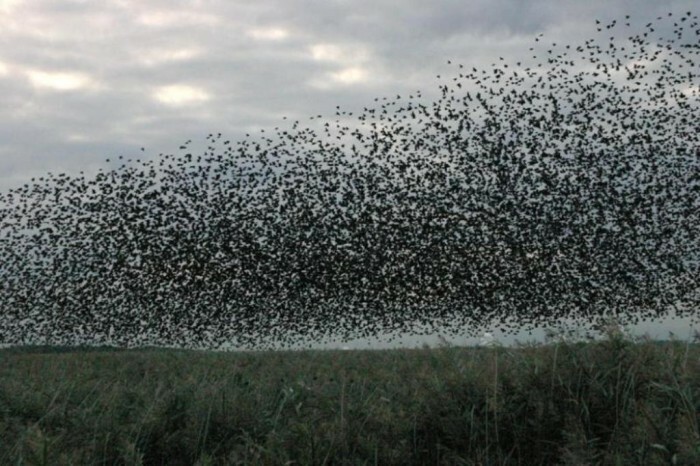 This phenomenon specifically occur in spring and autumn as these flocks of starlings migrate from the south to form a unique and magnificent shape in the sky. 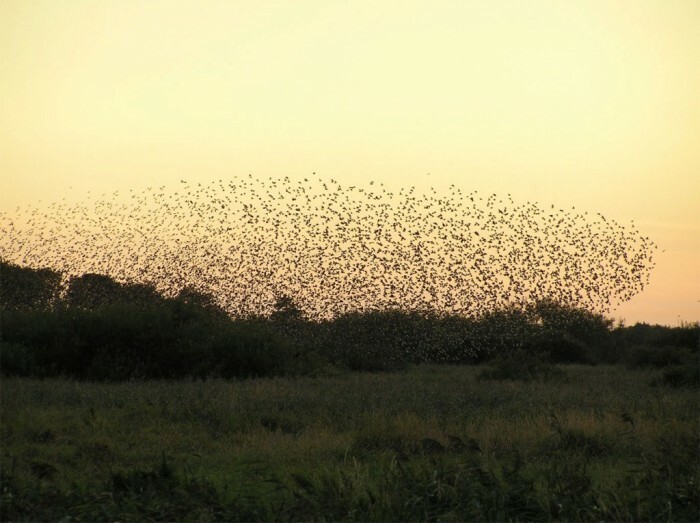 They come in spring to search for food in the meadows during the day and to sleep in the reeds at night. 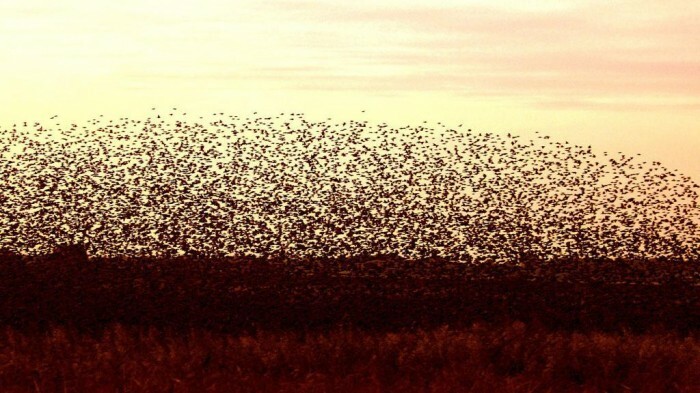 They migrate in flocks to protect themselves from predator birds.